A photograph may be worth a thousand words but a high quality virtual tour is worth even more. What is a Google 360º Virtual Tour? A Google Virtual Tour is an interactive virtual tour that is integrated into Google searches. They capture customers attention at the crucial moment and help them make the choice to use your services by showcasing your premises. This is just one way Google 360º Virtual Tours allows businesses to engage with customers and is a perfect way to boost sales. A high quality virtual tour could become your most effective sales tool, the tours can be embedded into your website and social media. We can create a rich navigation overlay that provides endless configuration and design options, as we’ve done for Darwin Park above. Advanced Navigation, Unlimited Menus, Boundary & Dynamic Hotspots, Maps and Floor plans. Why choose Matthew Jones Photography? It means that you’re getting top quality photographers creating your virtual tours, delivered with great attention to detail. So you get the best tour possible. 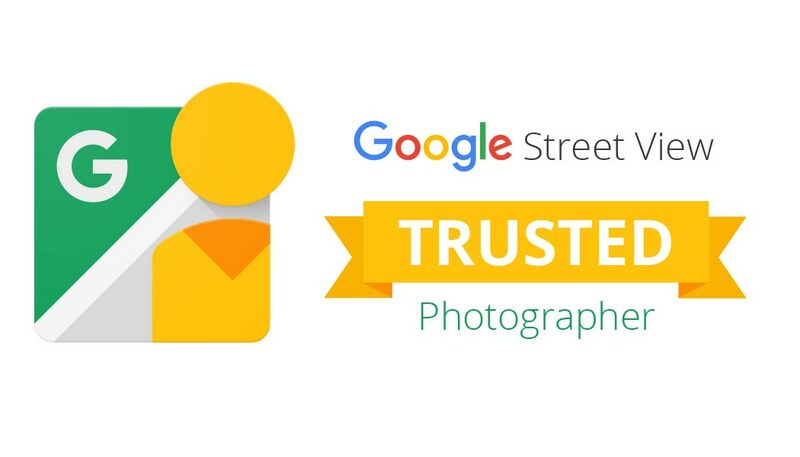 We are Google Trusted Photographers and have created many virtual tours. We’re very proud of the high quality delivered to every one of our virtual tours. We believe that our virtual tours represent the best value on the market. We don’t claim to be the cheapest – we do claim that the high quality of our virtual tours is the best you can get. We understand business and are dedicated to making every virtual tour as easy for our client as possible. Our flexible approach means that we are able to create the tour at any time to suit you.